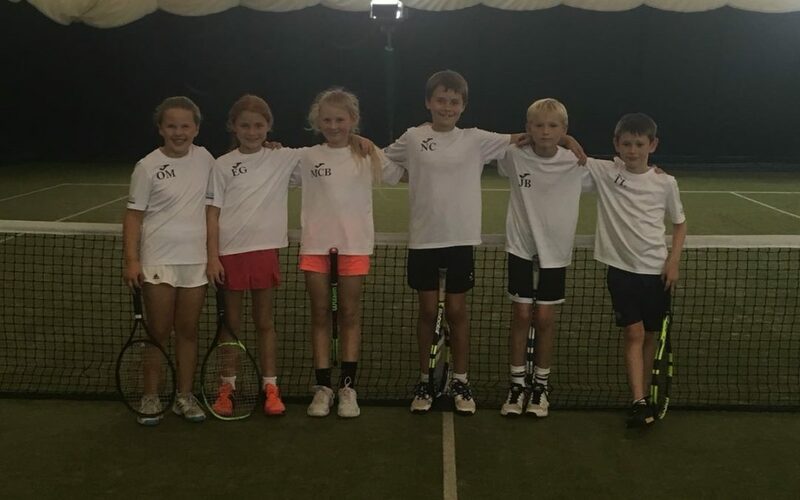 Norfolk boys and girls teams travelled to Ipswich to play 9u county cup. The teams were made up of Jack Bradshaw, Thomas Lloyd, Nathan Collins, Matilda Cabrera – Burns, Ellis Greenlees, and Olivia Marjarom. 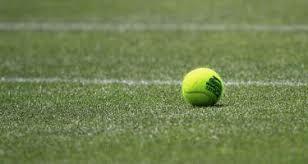 The other Counties Norfolk had to compete against were Bedfordshire, Suffolk and Cambridgeshire. Norfolk’s first match was against Suffolk. Up first was Nathan and Tom, both looking a little nervous and quickly going 1 set down. Nathan managed to dig in deep and win his second set, unfortunately he didn’t manage to convert the final set. Up next was Jack Olivia, Jack had two very close sets but lost both narrowly. Olivia’s opponent played a great match and was too good on this occasion. Then it was Ellis and Matilda’s turn, both played good matches however neither managed to convert them. So after the singles we were 6-0 down and had therefore lost the tie, however there was still the doubles to play and the team were excited about playing together. Nathan and Tom played the boys doubles, Olivia and Ellis played the girls doubles and Matilda and jack played the mixed doubles. All of the team worked hard with Jack and Matilda winning, to get the only win of the tie. Next was Cambridgeshire, Nathan and Tom up first playing two very strong players. They both started much more positively than their first match’s, Nathan really stepped his game up winning 7-5 7-4. Tom was slightly out powered by a much bigger boy, but worked hard to try and do the things we had talked about. Jack and Olivia were next on, Jack played well but was outplayed by his opponent. Olivia played much better in this match and narrowly missed out on winning the second set 10-8. Ellis had a fantastic match losing in 3 sets. Then Matilda tried really hard but couldn’t quite convert the second set losing it 8-6. We kept the doubles pairings the same for this round, and each pair improved on their first doubles match’s, all working more like a team. All doubles were very close but they each narrowly missed out. Lastly was Bedfordshire, both counties had lost their first two matches with Bedfordshire winning 2 more matches than Norfolk in the lead up to their tie. The boys started again, both Tom and Nathan having long 3 set matches with only a couple of points separating both boys and their opponents. Tom narrowly missed out on converting his match, but Nathan managed to convert the win. Jack also had a close match but managed to win his in 2 sets making the score 2-1 to Norfolk after the boys had played their singles. Next up was the girls turn, Olivia’s opponent played very well and made very few mistakes. Ellis had a very long 3 set match, after losing the first set easily she managed to come back and win the second 2 sets with great determination. Matilda also had a long 3 set match and also managed to get the win for Norfolk. After the singles the score was 4-2 to Norfolk. The team needed to win at least one doubles to win the tie for their county. With this in mind we kept the doubles pairings the same as they were improving each round. Tom and Nathan had an extremely close 3 set doubles match which they narrowly lost. The girls doubles also went against Norfolk so the score was now 4-4 with just the mixed to play. Jack and Matilda took this match in their stride winning in a straight forward 2 set and winning the tie for Norfolk. The eventually winners if the event were Cambridgeshire, second was Suffolk, then Norfolk third, and Bedfordshire forth. Well done to all who took part and worked really hard throughout the day. A huge thank you to all of the parents for supporting all day. The attached spreadsheet shows the final Jewson League positions.